The Incredible Hulk is one of the most famous Marvel Comic characters in existence, and Playtech has joined forces with Marvel to bring the green legend to the reels in a progressive jackpot pokies game, available in two different formats. Find out more about this action-packed pokies game and the best places to play online for real AUD. Playtech’s The Incredible Hulk is based around the 2008 movie starring Edward Norton, following the classic story of scientist Bruce Banner who desperately seeks a cure for the radiation exposure which contaminated his body and turned him into the almighty, superhuman Hulk. The Incredible Hulk pokies game kicks off with scenes pulled directly from the movie, as the Hulk wreaks havoc on the streets, throwing cars and smashing things up to really set the scene. The Incredible Hulk is interesting in it offers two different formats, giving you the choice to play either the traditional 25 payline game or the unique 50 payline game. Both game types contain a progressive jackpot, which is linked to the Marvel progressive network which contains four mystery jackpots. Packed with bonus features, The Incredible Hulk is an action packed game offering some large winning potential. Playtech’s progressives are not as widely available as progressives from NetEnt, Microgaming or BetSoft, but you will find the full selection of Marvel progressives, including The Incredible Hulk, at one of our top rated pokies sites, Casino.com. Casino.com provides the option of playing the Flash version directly over your Web browser, or by downloading exclusive casino software. Deposits are accepted in AUD using trusted payment methods like Visa, MasterCard, Neteller, Skrill, Paysafecard and direct bank transfers. New players who sign up using our links will also get access to an exclusive new player welcome bonus which includes up to $400 in matched deposit bonuses plus access to a range of player-only promotions. Unlike a majority of online pokies which can be played for free in demo mode, Playtech’s Marvel progressive jackpots can only be played for real money. To play, sign up for an account at Casino.com and make an instant AUD deposit, then load either the instant-play or downloadable version and place your bet by selecting the number of active paylines, coin size and bet per line. Coin sizes range from $0.01 to $1.00, with up to 10 bets available per line. The lowest bet required to play is $0.01 while the maximum bet is capped at $250, making The Incredible Hulk suited to all bankrolls. The Incredible Hulk pokies game is just as action packed as the movie it came from, offering more bonus features than we usually see from a progressive jackpot game. The base game offers some fun ways to win, with symbols consisting of typical Hulk-ish garb like radioactive warnings, police cars and helicopters, but the real edge-of-your-seat wins come from the high paying symbols, unique bonus games and four progressive jackpots. Wild Symbol – The wild symbol is the superhuman Hulk himself, which appears on reels two, three and four and substitutes all other symbols (except the scatter and bonus symbols) to form a winning payline. If the Hulk wild appears in the centre of reel three, or anywhere on reels two, three and four at the same time, it turns into an expanding wild, with the Hulk expanding across the reels and awarding free re-spins. Scatter Free Spins – The scatter symbol is The Incredible Hulk logo, which triggers 10 free spins when three or more appear anywhere across the reels. All wins during free spins are tripled, and free spins can also be re-triggered. Smash Bonus – Landing the Smash Bonus symbol on reels one and five triggers a mini bonus game, taking you to a new screen which plays more like a video arcade game. 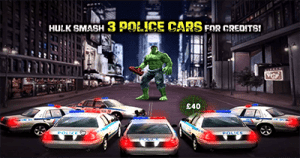 Here you assume the position of the Hulk and get to try and smash police cars and helicopters for the chance to win instant cash. During the bonus round the Hulk Rage feature can be triggered at random, causing the Hulk to smash all seven cars at once for some huge wins. 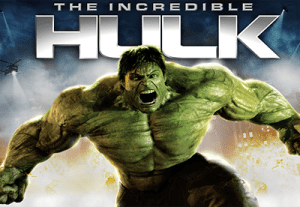 Progressive Jackpots – Like all Marvel pokies, The Incredible Hulk is linked to four mystery progressive jackpots: Power, Extra Power, Super Power and Ultimate Power. The current amount of each jackpot is listed at the top of the reels as you play and updated in real time. The jackpots are triggered at random and may appear at any time during the game, including after non-winning spins, although the higher your bet, the higher your chances are of triggering a jackpot. Once triggered, you’ll be taken to a jackpot grid of 4×5 squares, kind of like a scratch card, where you get to click the squares to reveal the jackpot lying underneath. Once you’ve matched three identical jackpot squares, you’ll win the current amount of that progressive jackpot. 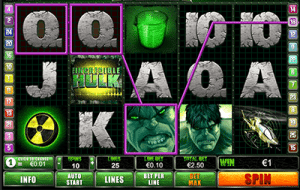 The Incredible Hulk has everything one could want from an online pokies game. There’s action, excitement, great animation, unique bonus games, progressive jackpots and multiple ways to win within the base game. It also comes with fully customisable betting options and unfixed paylines, making it suitable to players of all budgets. Give it a go – you won’t be disappointed. You can find The Incredible Hulk and a bunch of other Playtech progressives at Casino.com where new players can claim a 100% matched deposit welcome bonus up to a value of $400.